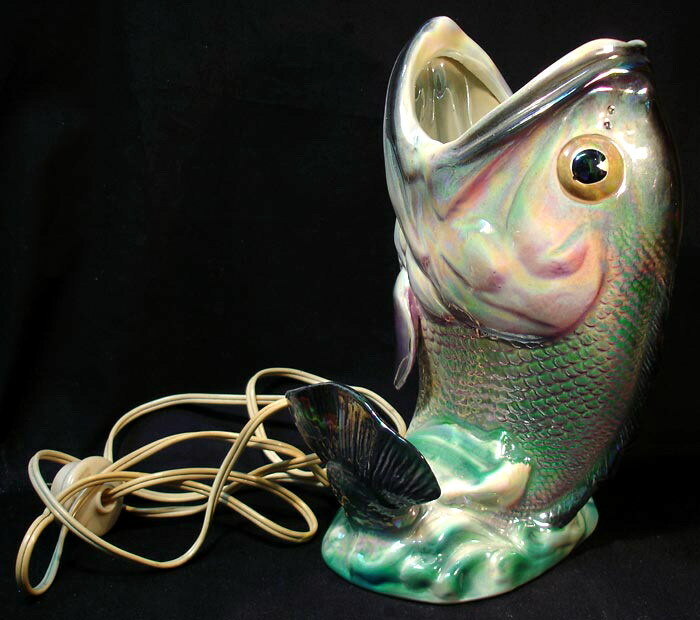 For those who believe that quirky mid-century artifacts like TV lamps came only from the U.S. and Canada, Wembley Ware may come as a bit of a surprise. 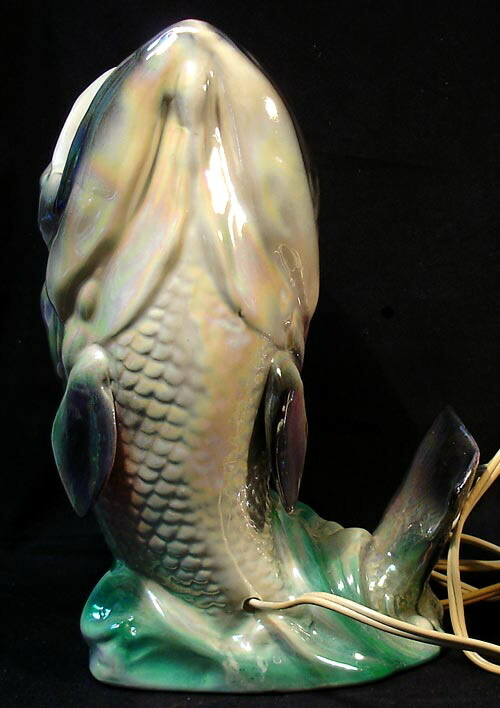 Wembley Ware was a line of quality ceramics produced in Western Australia by Brisbane and Wunderlich. The line was made from 1947 until 1961 in Subiaco, and has become highly collectible in recent years. 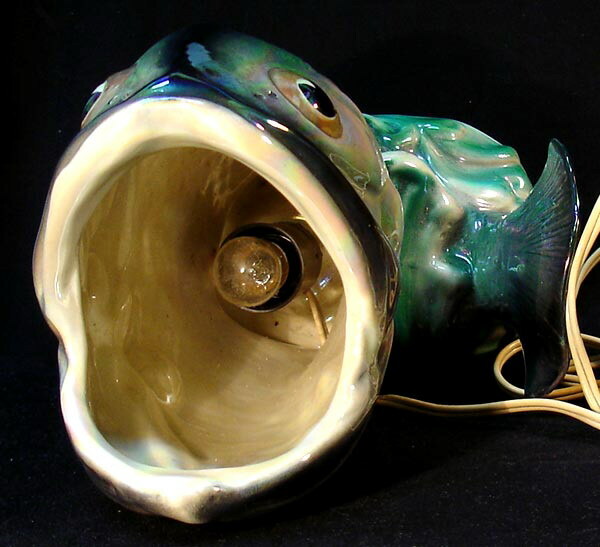 The products, consisting mainly of lamps, vases and ashtrays, are known for their dazzling designs and shimmering glazes. Don't know what a Dhufish is? 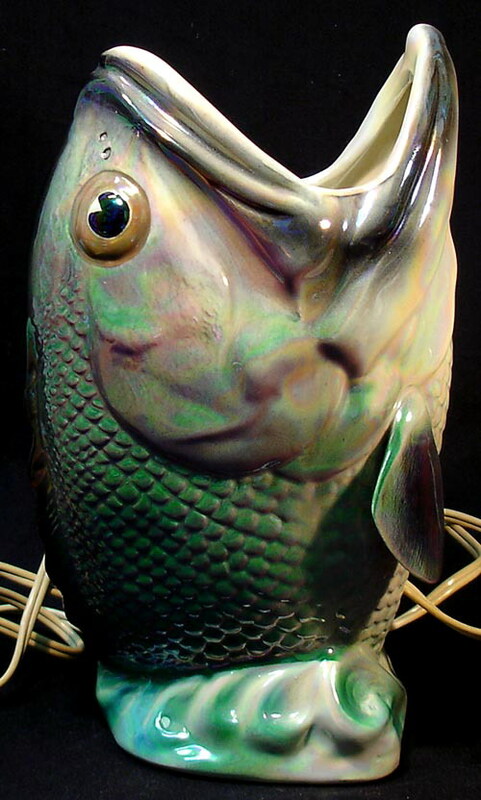 This is a Dhufish! Popular with Australian sportsmen, they are known for being large and, well... tasty! Photos courtesy of Philicia Antiques & Collectables Pty. Ltd., 317 Goodwood Road, Kings Park. Adelaide. South Australia. 5034. 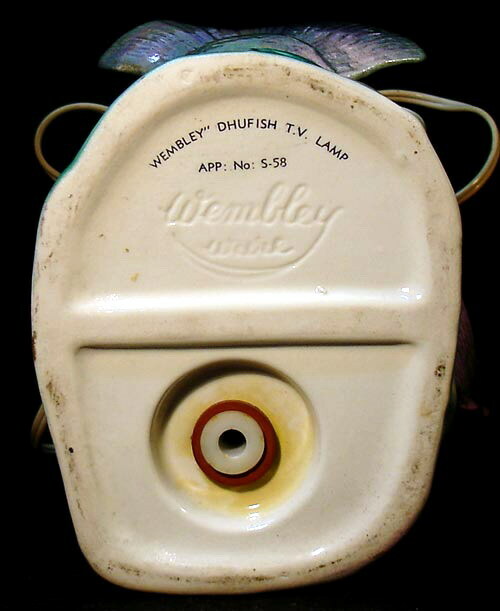 The Wembley Ware Dhufish was sold as either a vase or a TV lamp. Who wouldn't want one of these on the TV? The glaze is just beautiful! Plenty of room for the bulb! On the bottom is the Wembley Ware marking.